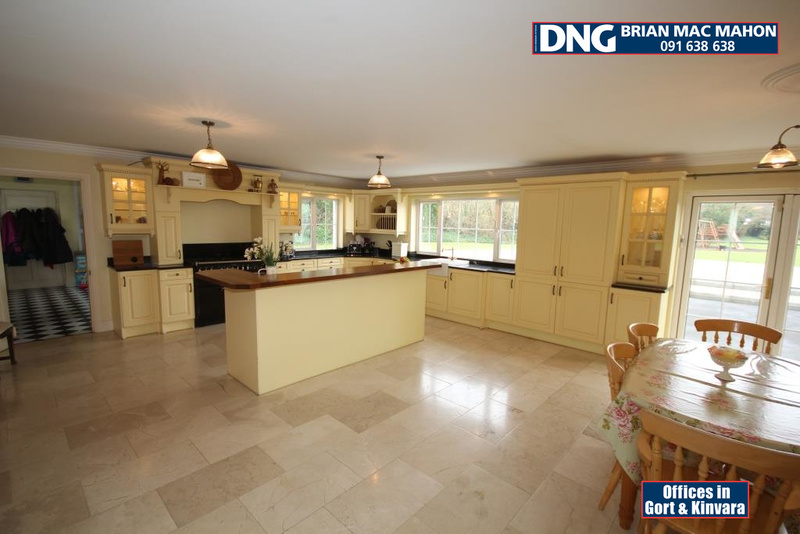 Walk through this property using our 3D virtual tour…………just click the play button above! 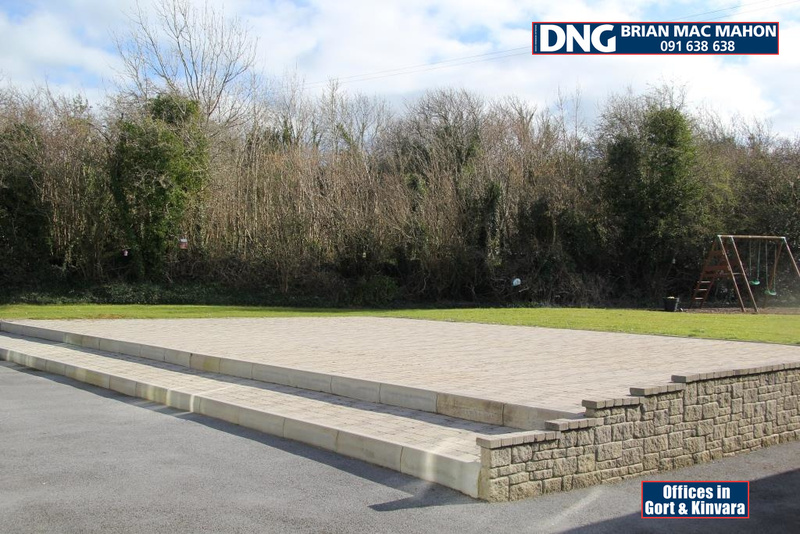 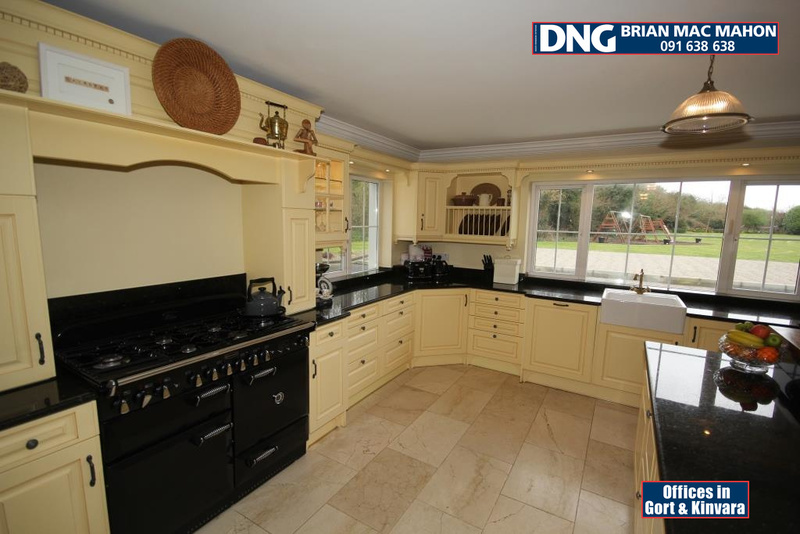 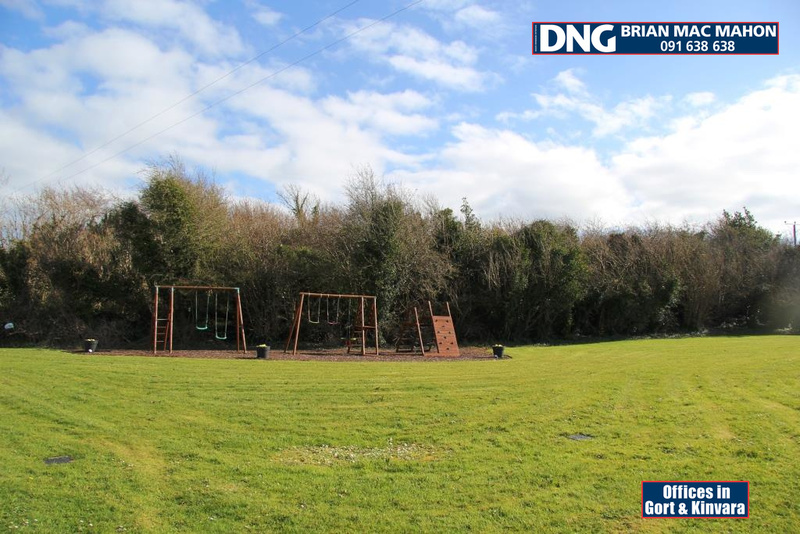 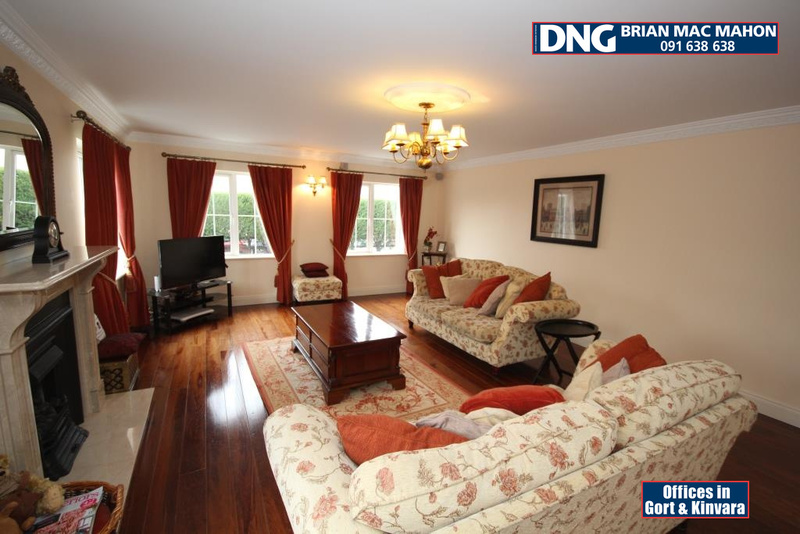 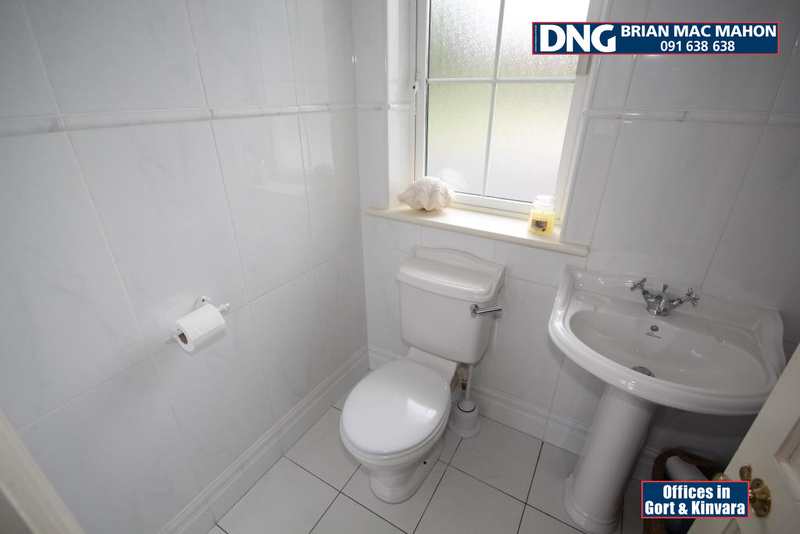 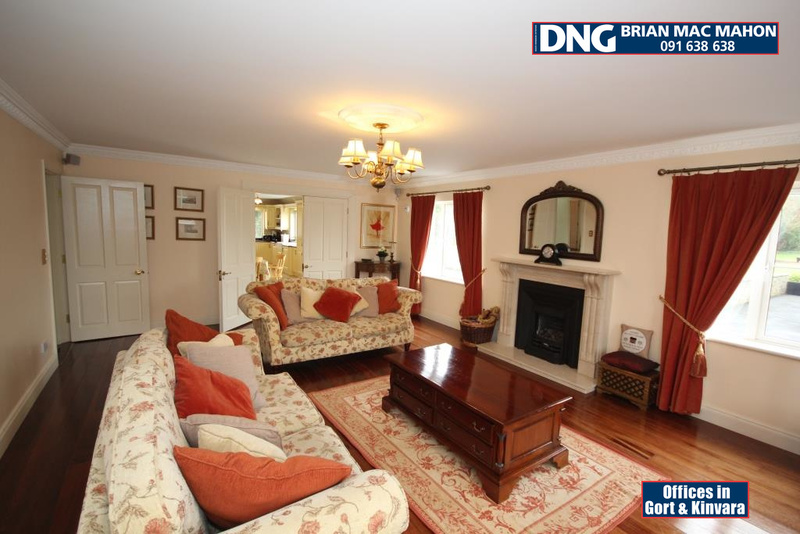 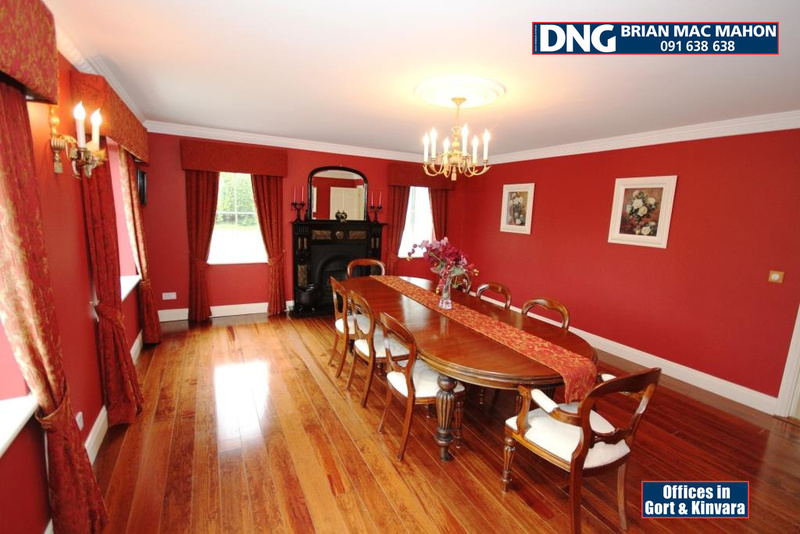 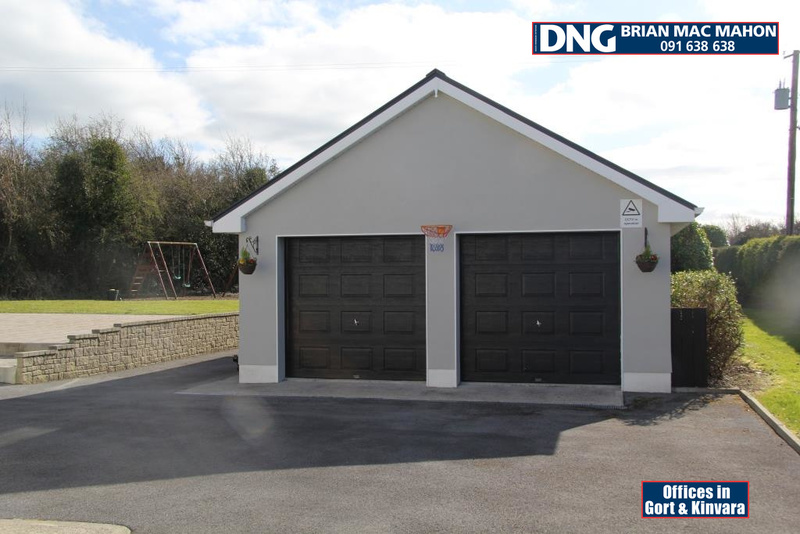 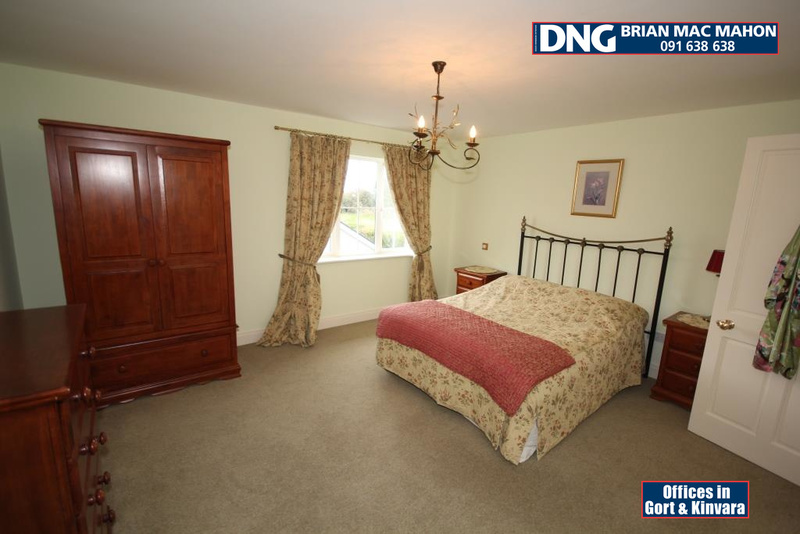 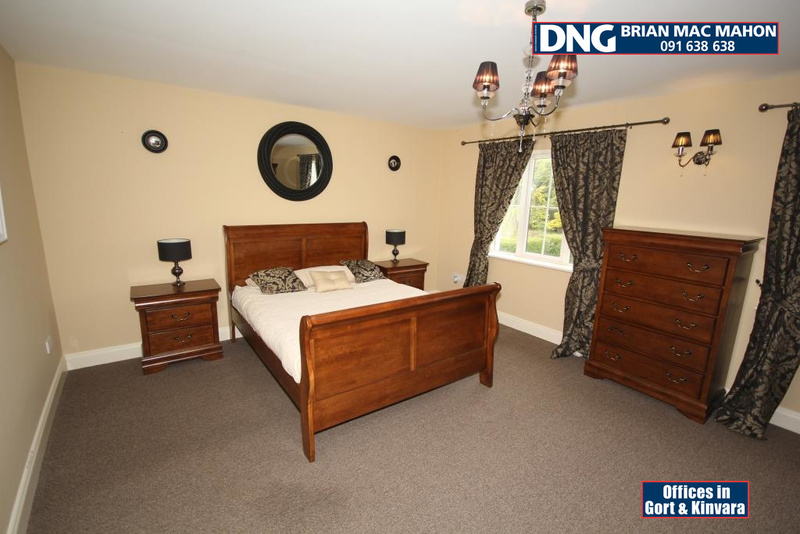 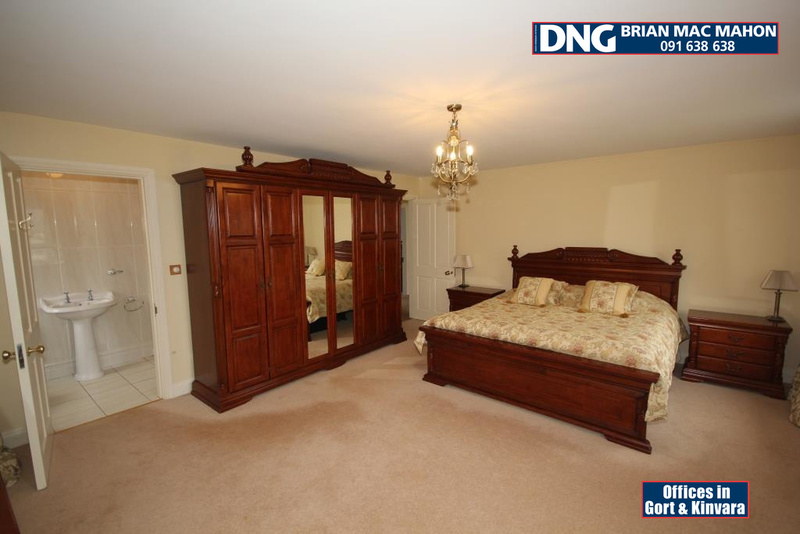 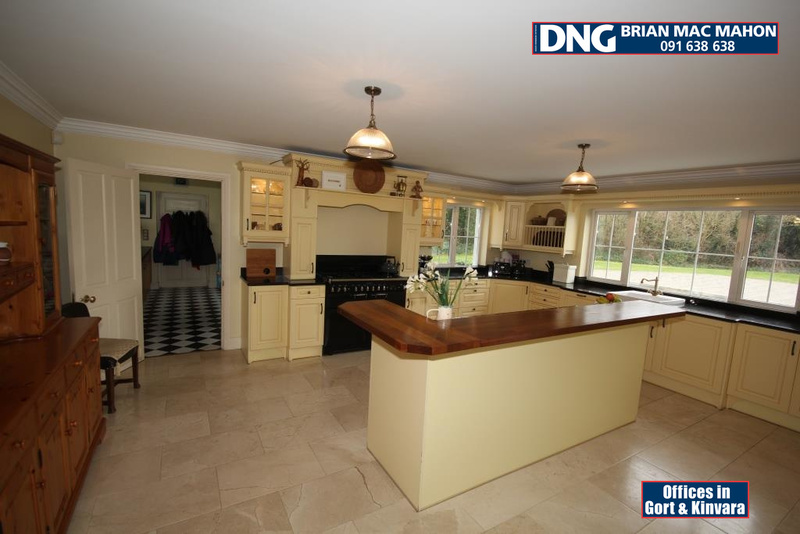 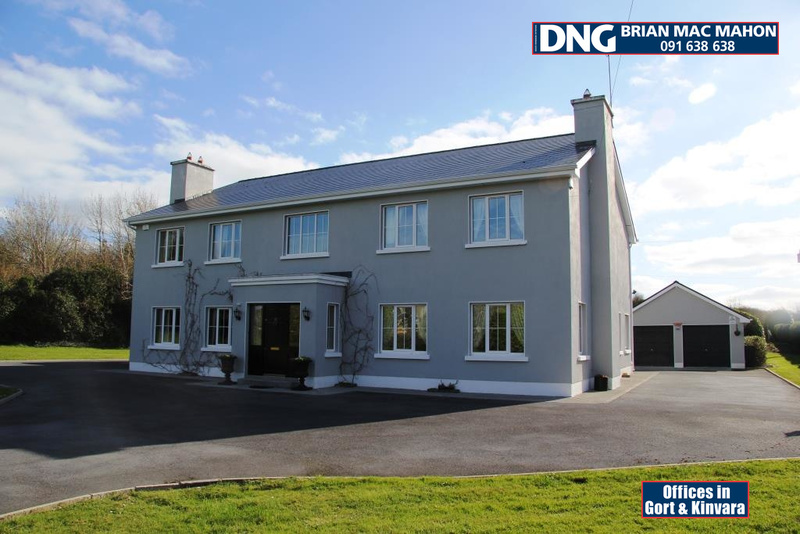 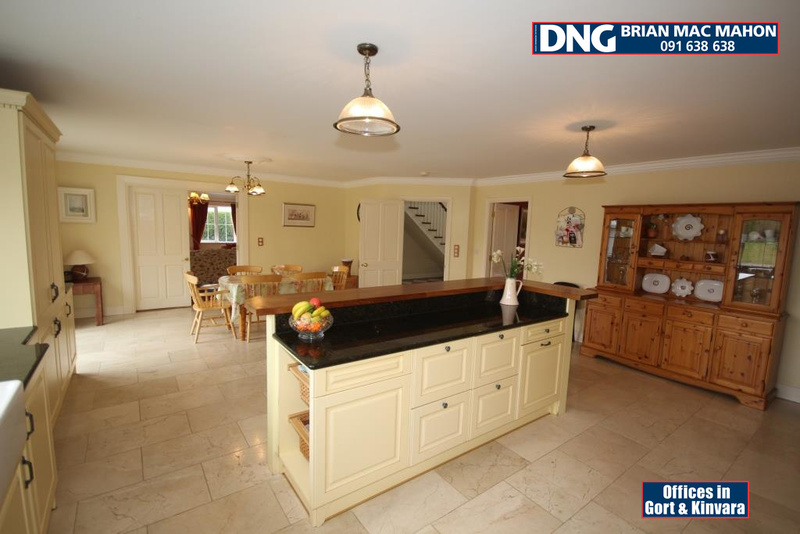 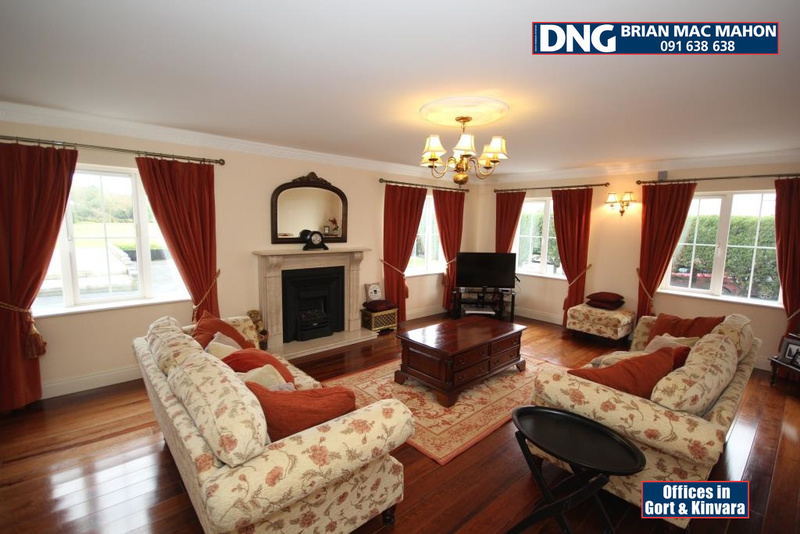 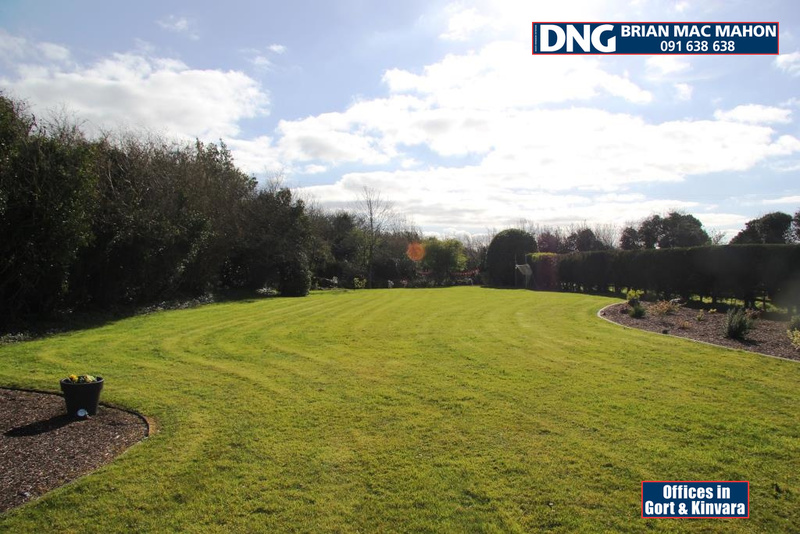 DNG Brian Mac Mahon is delighted to bring to the market this truly impressive house situated on the Dark Road, Kilcolgan, Co. Galway. 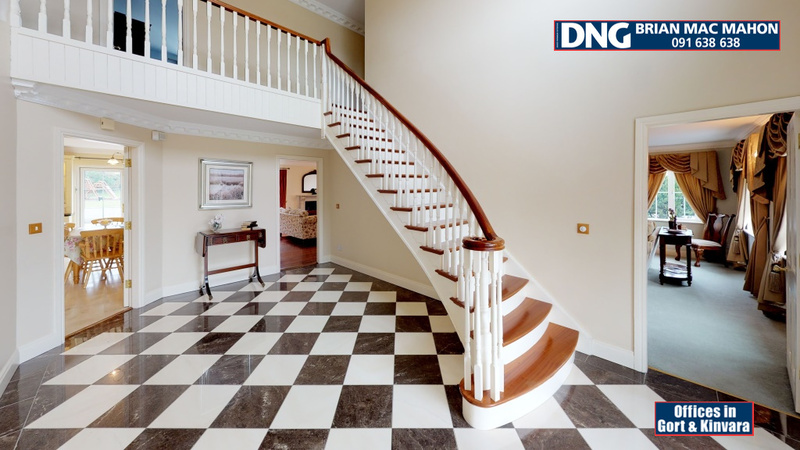 This 5-bedroom residence has it all in terms of luxury, amenity and location. 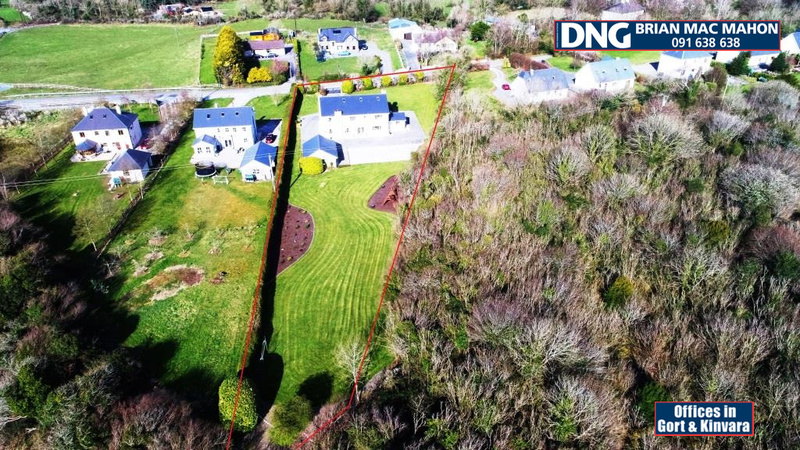 It is set back off the road on a 1 acre site with landscaped gardens to the front and the rear with beautiful lawns and a selection of mature shrubs and plants, a large cobble lock patio area, a children’s play area and a separate double door garage, are just some of the many great features that create an exceptional property in the country and yet just minutes from all the amenities i.e. 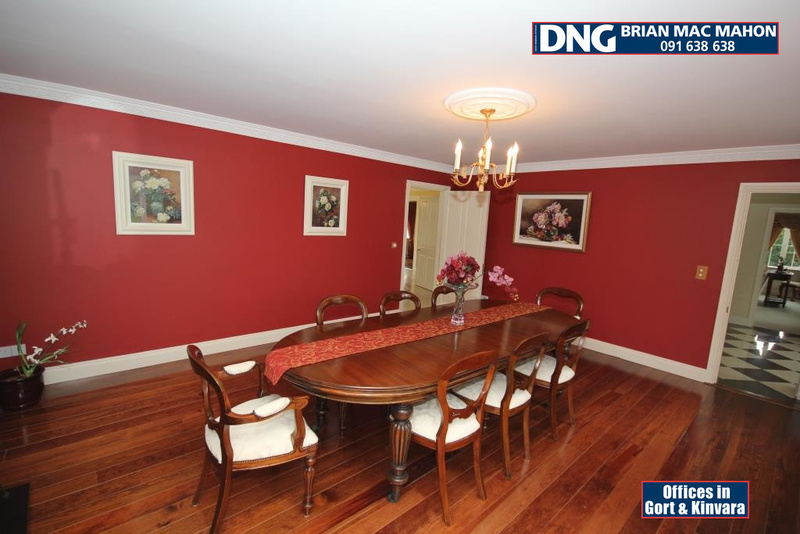 shops, primary and secondary schools, restaurants, bars, variety of sporting clubs to name a few. 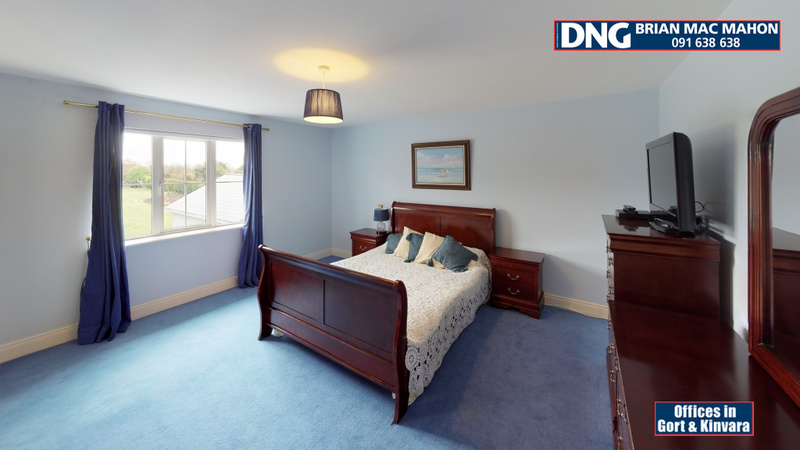 Built in c.1999, this beautiful and tastefully decorated modern home is well designed and has many features that make it a truly desirable home to live in with approximately 4,200ft² of luxury family living accommodation. 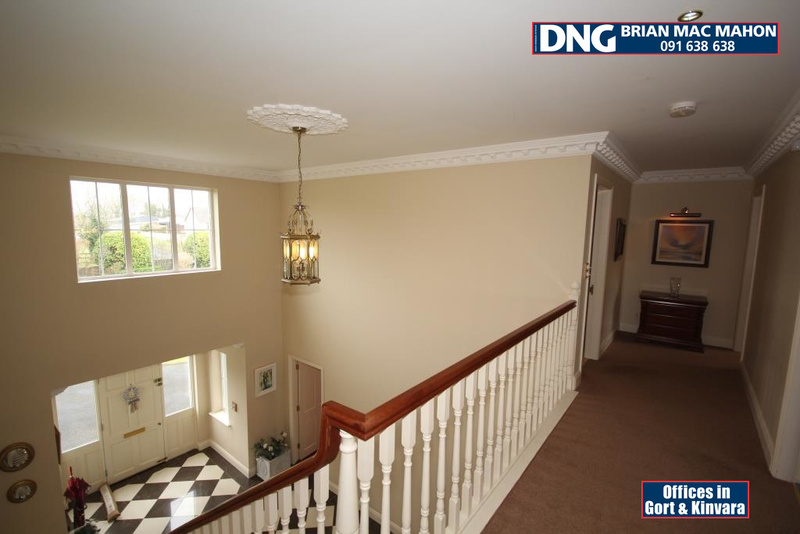 The elegant reception hallway is a welcoming, bright and airy space with extra natural light flooding in from the window above the sweeping feature staircase. 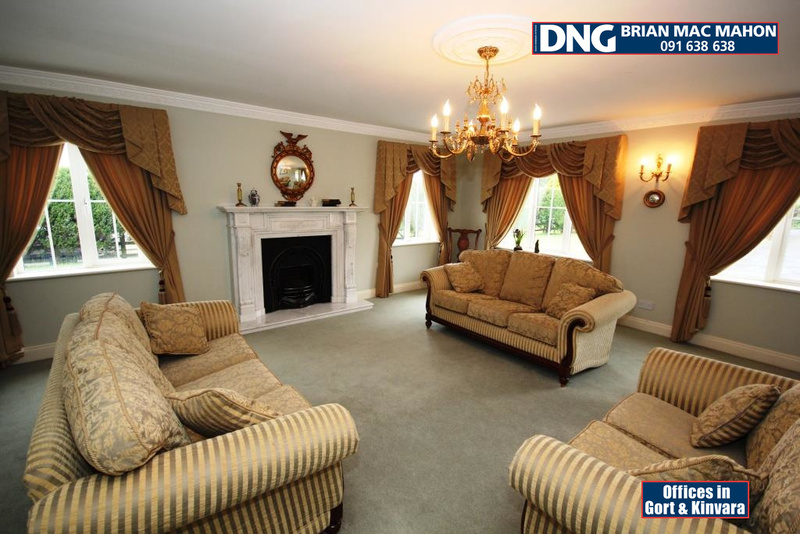 There is a large but cosy sitting room to your right with lots of double-glazed windows allowing plenty of natural light to fill the room and a feature marble fireplace with a gas inset. 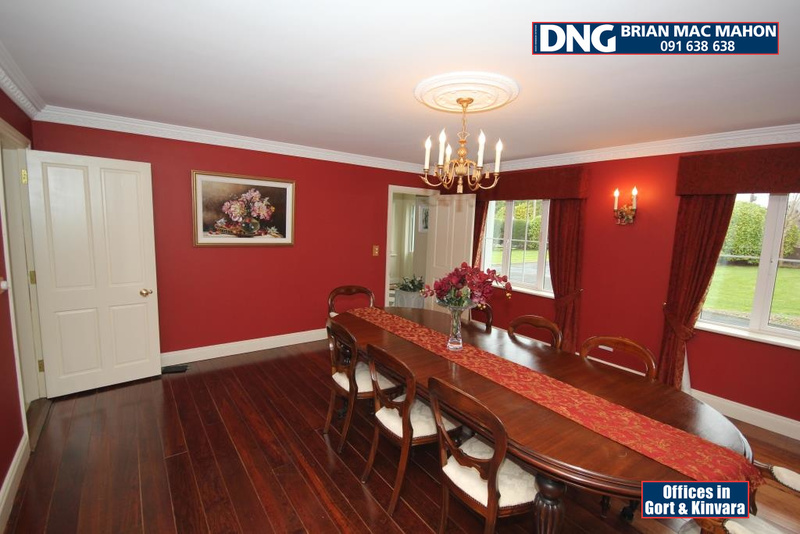 To the left of the hallway is the formal dining room which is perfect for special family occasion meals and entertaining dinner parties. 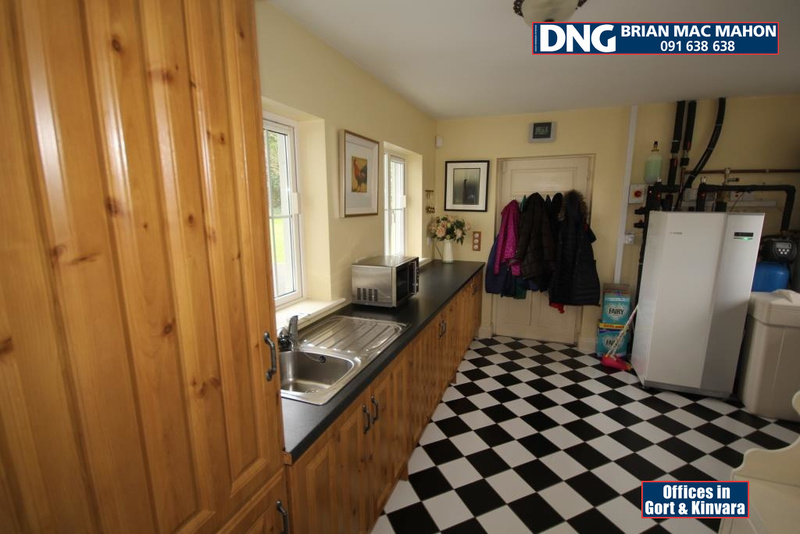 Further down the hallway to your right takes you into the inviting kitchen/dining area perfect for the today’s modern-day family life. 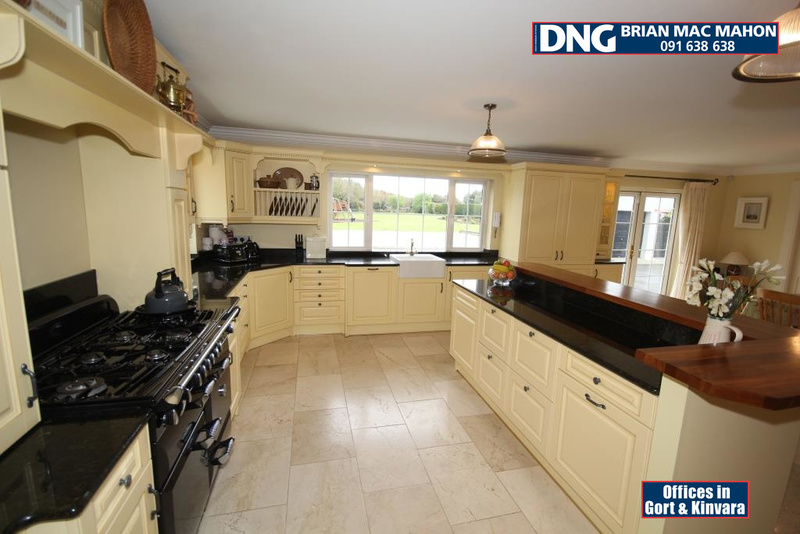 The open plan cream painted kitchen has an abundance of storage space with granite worktops and a cream split level painted island. 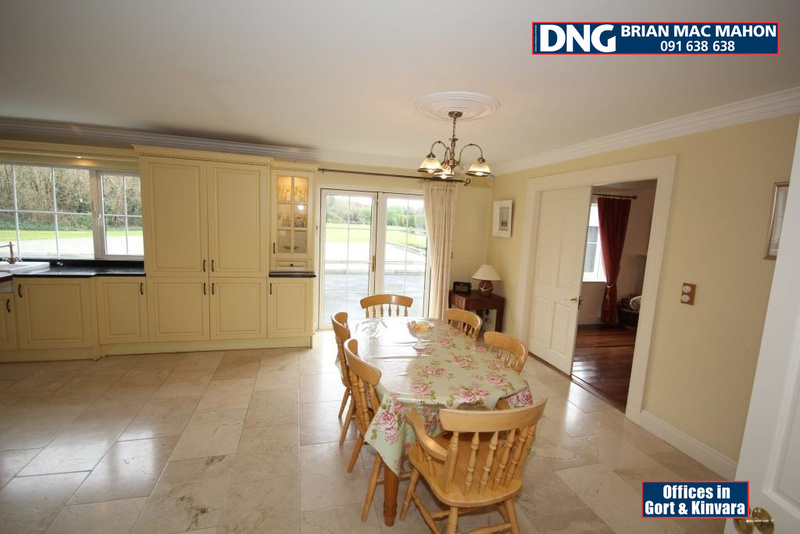 The dining area looks out onto the patio and garden through large double glass doors. 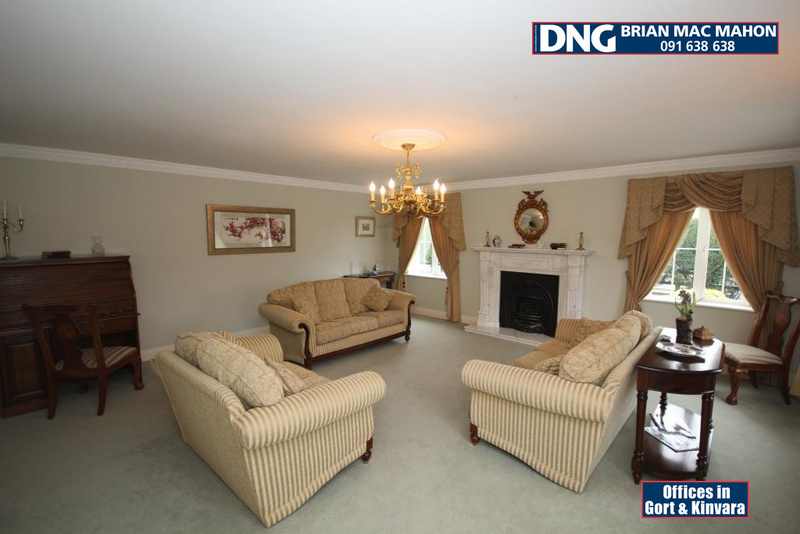 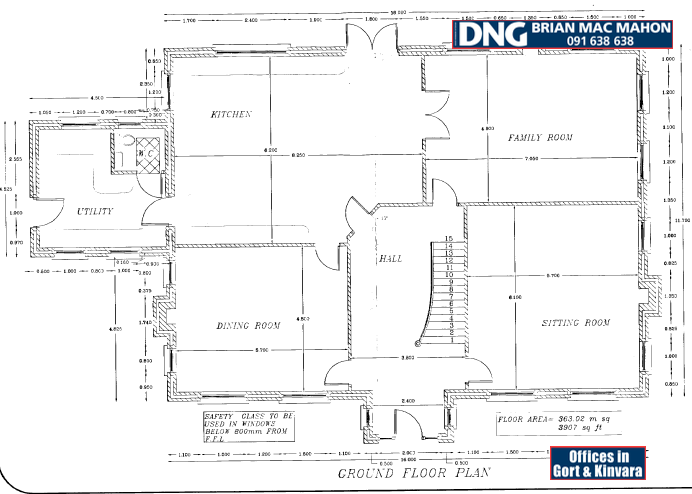 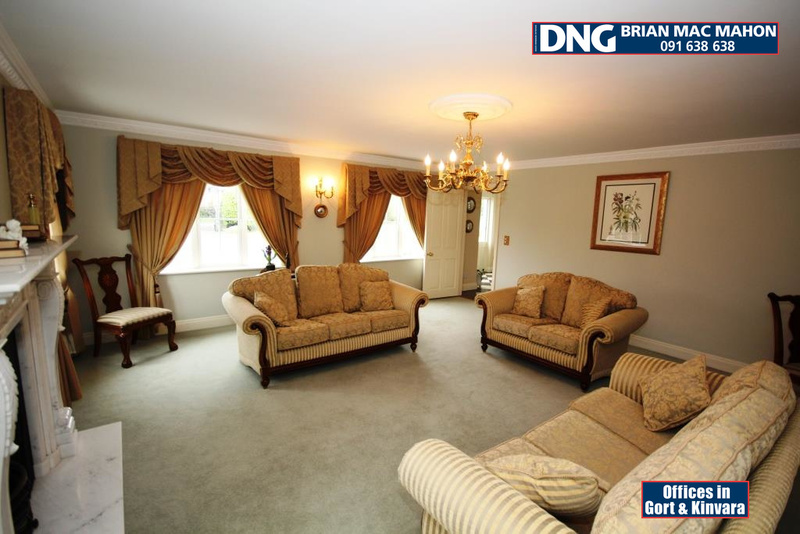 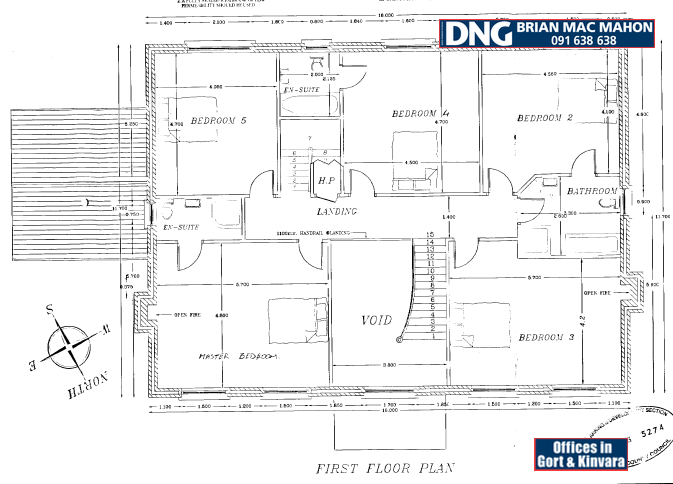 Off the dining area is the living room with warm wooden floor and a marble feature fireplace with a gas fire inset. 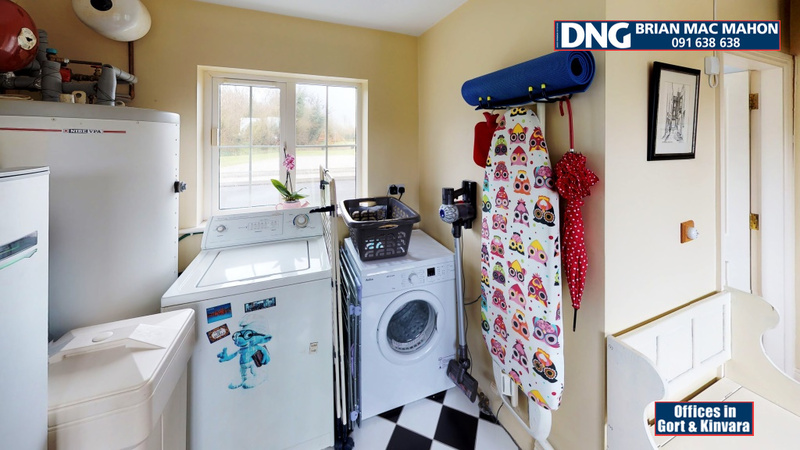 The utility room is fully plumbed with plenty of cupboards and storage space. 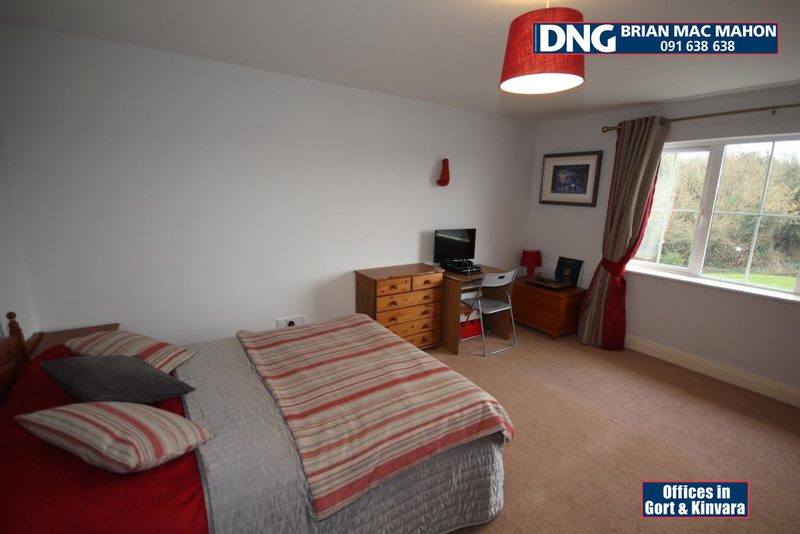 On the first floor you have the spacious landing overlooking the hallway with decorative coving and recessed lighting taking you to five large double bedrooms rooms, four having en-suites. 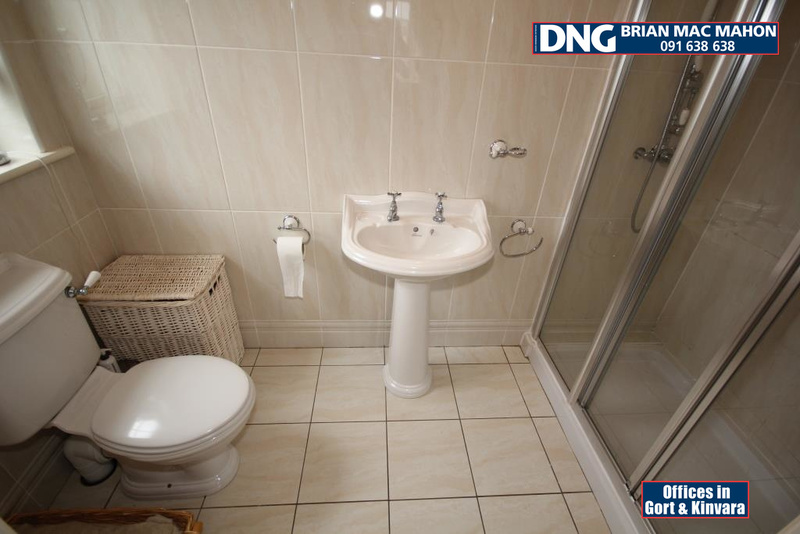 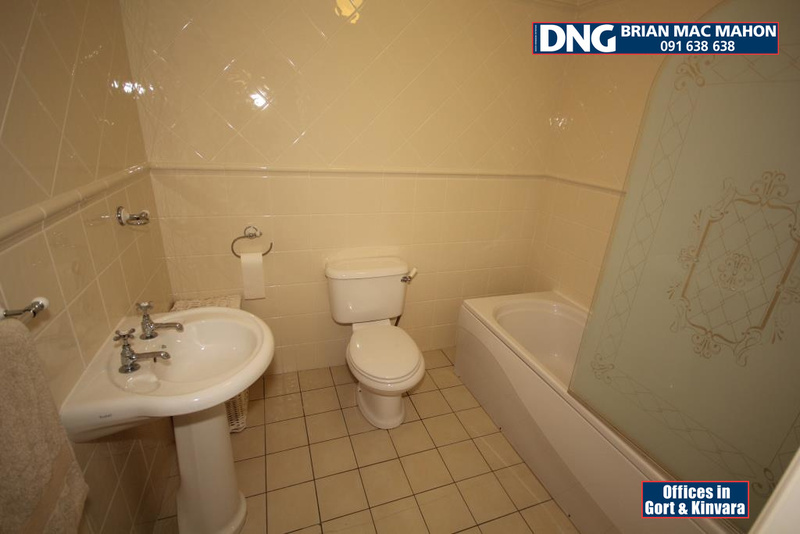 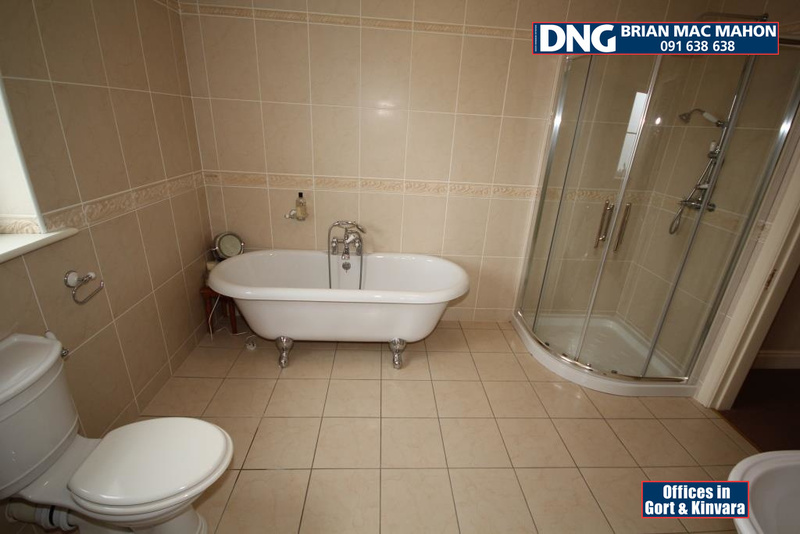 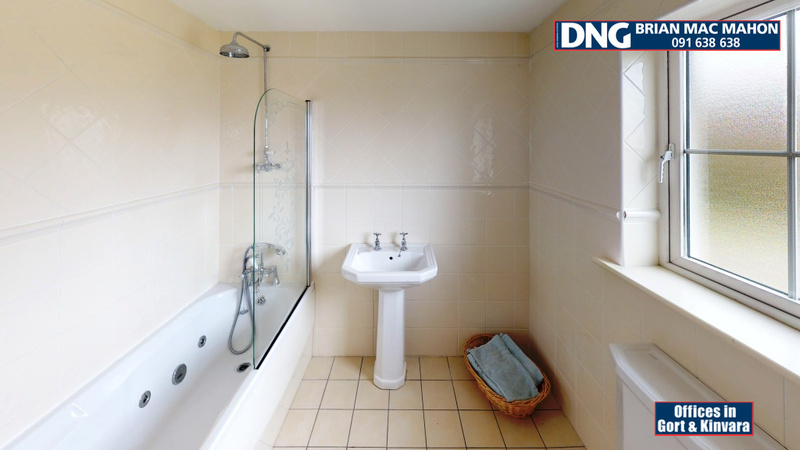 The main family bathroom boasts a free standing, roll top bath and a large corner shower. 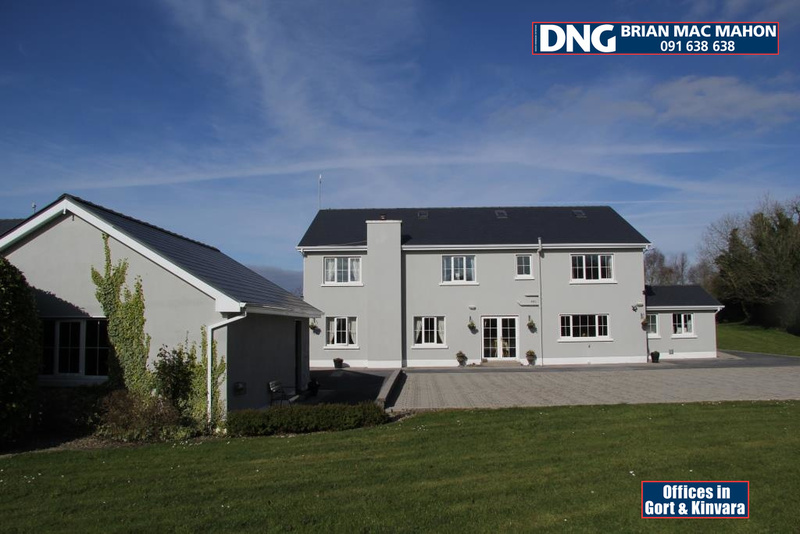 Lisbeg also has the benefit of underfloor geothermal heating which ensures the house is always at a comfortable temperature without breaking the bank.